Warwickshire is blessed with scenic rolling countryside and a rich stylish heritage that is reflected in its many opulent gardens. 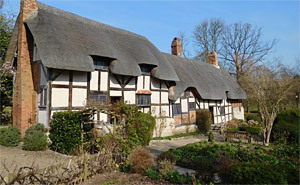 Black and white timber-framed thatched cottage, surrounded by nine acres of quintessentially English country gardens, woodlands and orchards. Once owned by the Hathaway family. Regular events and Shakespeare sculpture trail. An Elizabethan manor house set in 20 acres of elegant 18th-c gardens, developed by Sir Roger Newdigate. A tranquil estate of rolling lawns, winding paths, mature trees, fountains and lakes. 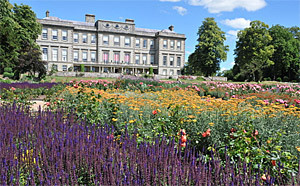 Don't miss the picturesque rose gardens in June, with island beds and pergolas draped with flowering climbers. 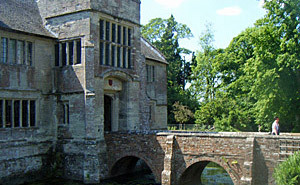 One of the finest examples of a medieval moated house in England. 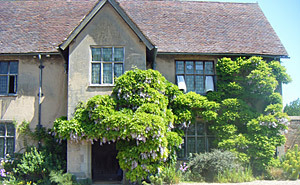 Peaceful gardens with neat formal courtyards, clipped yew, a walled garden, fish ponds and lakeside walks. 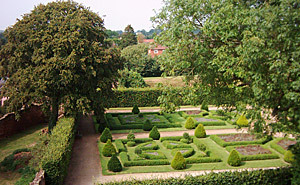 An Elizabethan mansion with impressive formal gardens and parkland. Located on the banks of the River Avon. 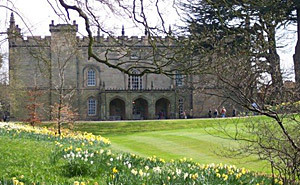 Activities run throughout the season, including guided walks and lectures. Built around 1122 by Geoffrey de Clinton, the castle is now mainly ruins. 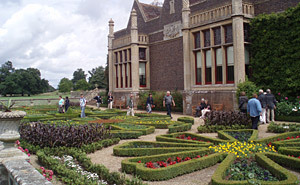 At the front of the main keep is a grand formal knot garden - a recreation of the one planted for Elizabeth I, featuring a bejewelled Renaissance aviary and a marble fountain. The clipped box-work is planted-up with scented plants and herbs from the 16th-c. Restored Tudor house built circa 1550, set in traditional gardens and parkland. The severn acre site is renowned for its historic layout, with old courtyards, terraces, fine herbaceous borders and a brick gazebo. 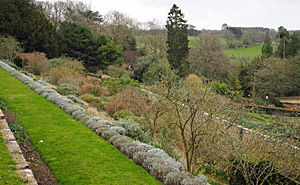 The 16th-c yew garden is believed to have been created to represent the sermon on the mount. A magnificent Palladian-style country mansion, circa 1680. Sweeping herbaceous borders provide unrivalled massed summer colour, along with the extensive rose gardens, planted by the 8th Marquess and Marchioness. A 3 mile (4km) sculpture trail in the grounds, features works by both acclaimed and emerging artists. Concerts and events throughout the year. 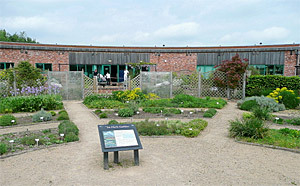 Set up in 1985 as a centre of excellence for organic horticulture. A forerunner of flower and vegetable production without chemicals or intensity. The ten acre site is filled with informal displays of herbaceous plants, herbs, roses and a collection of over 800 old vegetable varieties. Guided tours explain the principles of the Henry Doubleday organic gardening system. Built in 1695 of golden sandstone, the grand manor house forms a magnificent backdrop to sweeping lawns that slope down to a patchwork of colourful terraces, leading to a large lake. To the west a zigzag path of mature trees, underplanted with wild flowers, ends in secret dell with a carp pond. Many unusual species of perennials and the national collection of asters.